I forgot how much I enjoyed knitting socks. I’d been spending the last couple of months engrossed with my crocheted afghans, and then I got a request from my beloved cousin J for another pair of socks. 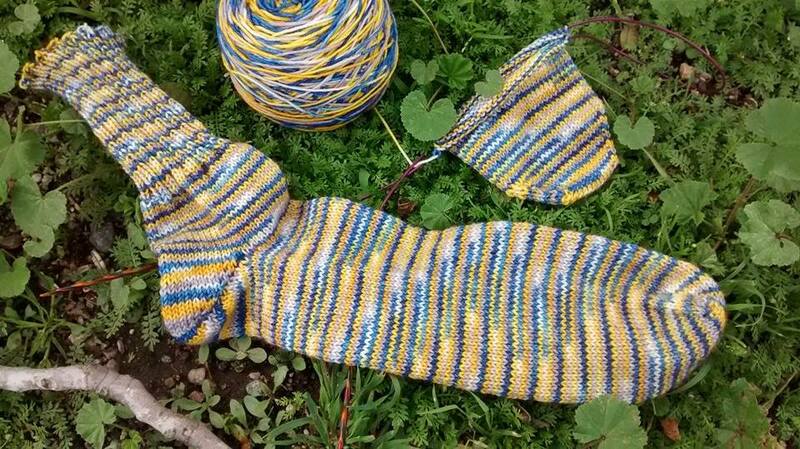 She was genuinely fond of the previous pairs I’d made for her, so I was more than happy to cast on and start knitting. The yarn is a hand-dyed merino wool that I had purchased off Etsy. 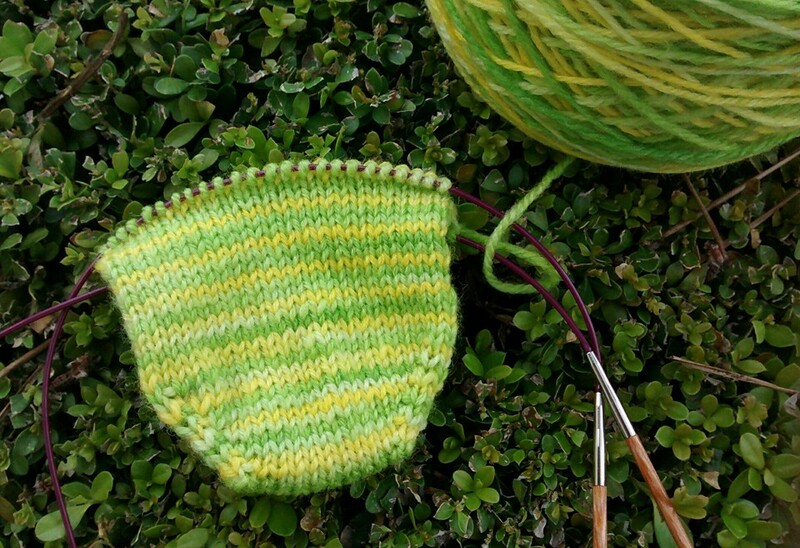 It was the only skein of yarn that I’d ever purchased off Etsy, but once I started knitting that first sock, I thought, Damn, this is pretty cool hand-dyed yarn that an independent U.S. seller spent some time making. I have got to buy more hand-dyed sock yarn and support the small businesses. I am trying to keep myself from starting a third sock with the other skein of yarn (it’s a wool-cashmere blend! ), but I may not be able to resist. Yay!! das some legit Warrior Socks right there!! You’re awesome! !